A unique undertaking: To celebrate the words that have shaped America. The Library of America is a non-profit publisher of American classic literature founded in 1979 with a grant from the federal National Endowment for the Humanities (NEH) and additional funding from the Ford foundation. The company's misson is to keep American classics in print permanently to preserve America's literary heritage and the company actively seeks donations for this purpose. Such a venture was a longtime dream of American literary critic Edmund Wilson (b. 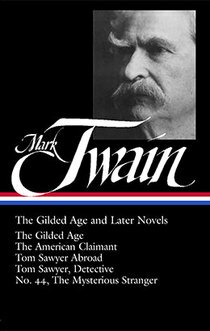 1895 - d. 1972) who had competed with the Modern Language Association (MLA) for NEH funding in the 1960s when the Iowa-California editions of Mark Twain's works were being published. For a longer discussion of that acrimonious competition, see Chapter 37. Wilson died ten years before his dream would reach fruition. 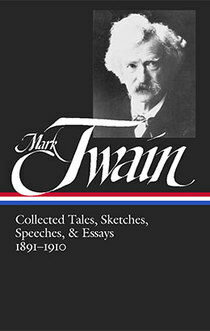 As of 2010 Library of America had published seven volumes of Mark Twain's works and one anthology of essays on his life by other famous writers. 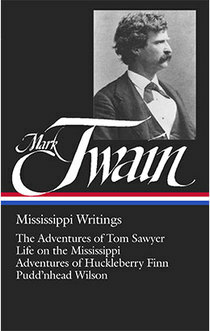 The first Mark Twain volume appeared in 1982 and the latest volume was published in 2010. 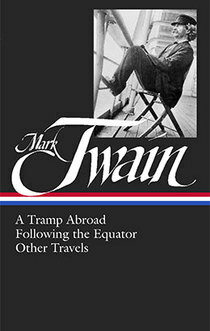 Each volume is edited with annotations prepared by an authoritative Mark Twain scholar. The works are unillustrated. 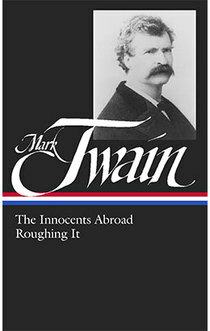 In addition to annotations, each volume includes a chronology of Mark Twain's life. While much of the information contained in the chronologies of each volume overlaps with chronologies features in other volumes, there is new information and corrections to be found in subsequent volumes as they incorporate new biographical research as it becomes available. 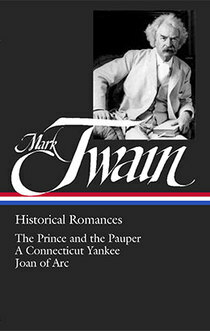 Library of America titles are available for individual purchase or through the Library of America subscription service. They feature no volume numbers. 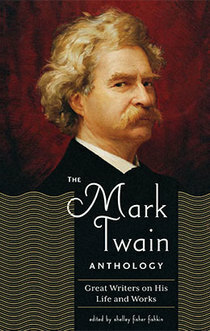 Non-subscription books feature a distinctive black dust jacket with each title sporting a different portrait of Mark Twain. Subscription volumes come without the dust jackets in a cardboard slipcover. Library of America volumes are distributed worldwide by Penguin Random House. Editor: Guy Cardwell (b. 1905 - d. 2005), professor at Washington University in St. Louis, Missouri. Editor: Louis J. Budd (b. 1921 - d. 2010), professor at Duke University. Editor: Susan K. Harris (b. 1945), professor at University of Kansas. Editor: Hamlin Hill (b. 1931 - d. 2002), professor at Texas A&M University. Editor: Roy Blount, Jr. (b. 1941), freelance journalist and author. 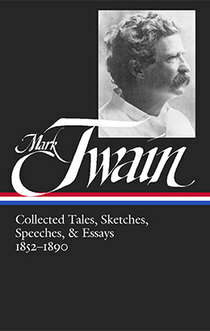 In addition to the seven volumes of Mark Twain's works, Library of America has also published The Mark Twain Anthology: Great Writers on His Life and Works edited by Mark Twain scholar Shelley Fisher Fishkin (b. 1950). 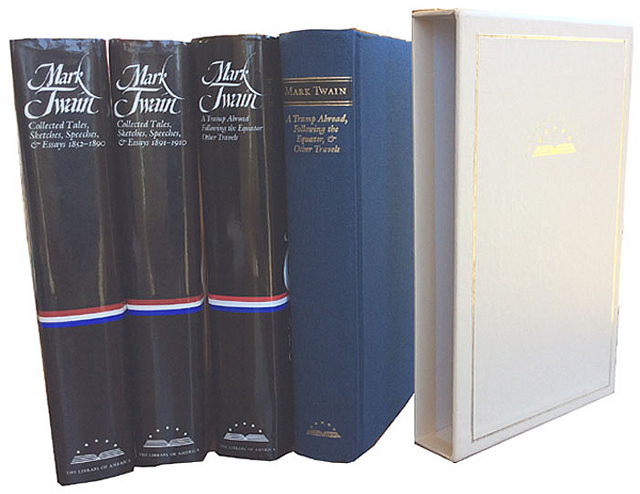 The volume is bound in cream colored cloth and issued in both dust jacket and the subscription slipcase edition.